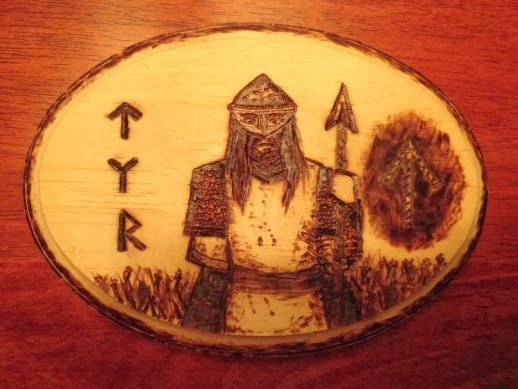 I've been meaning to set up a shrine for Tyr for a while now. Today, I tried my hand at woodburning a small icon of Him. I have never woodburnt anything quite like this before, and am more than a little pleased with how this piece turned out. The icon now occupies a place between the Thor and Heimdallr shrines.